As much as I love young adult literature, it’s so hard to find books in the genre that feature friendships that are both positive and strong, but still manage to stay realistic. to portray the heroine to be “kind” by making her best friend extremely mean and judgmental. Maddie and Verity are a dynamic duo; a sensational team, two people who would do anything and everything for each other. Their friendship is strong and real and is the core essence of this incredible book. KISS ME, HARDY! Kiss me, QUICK! Reynie, Sticky, Kate and Constance are an unstoppable, gifted foursome. They may each have different gifts and abilities, but their friendship is one of the things that makes this such a delightful series to read. 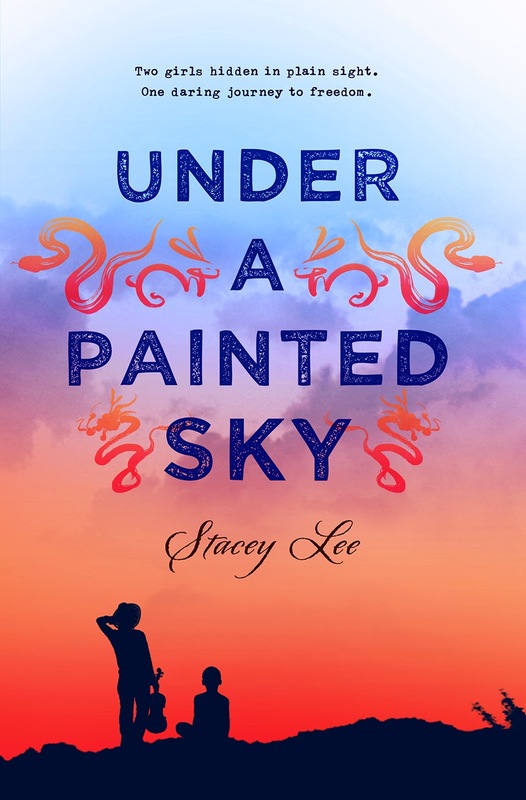 I may not have been able to connect to Stacey Lee’s debut emotionally as much as I wish I could have, but the friendship between the protagonist Samantha – a Chinese musician – and Annamae – an African-American slave – was absolutely fantastic. This is a story of a story of friendship as unlikely as it is powerful: the friendship between the son of a Nazi lieutenant and an imprisoned Jewish boy. Horribly devastating, but at the same time extremely eye-opening and powerful. He looked down and did something quite out of character for him: he took hold of Shmuel’s tiny hand in his and squeezed it tightly. And how could any list about friendship be complete without mentioning this trio? How do you think friendship is portrayed in books? 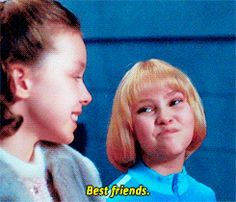 What are some of your favorite book friendships? I agree with you. Most of the time, friendships – between girls more commonly – are destructive and unhealthy. The book that comes to my mind and can be a recommendation is Cracked by Eliza Crewe. Ot portrays a great relationship between two girls – a strong bond, with ups and downs and really realistic. Oohh…definitely going to have to take a look at that one Vane! Thanks for sharing! So glad I’m not the only one who sees it that way Rachel! And Under a Painted Sky was just perfect in the friendship department, wasn’t it? Reading books that lack friendships or realistic friendships bothers me. Sometimes it seems like friendship is thrown in the book as an afterthought, and I really want to see more of it. I like seeing more than just romance or an interesting plot in a YA book. Have you read any of Emery Lord’s books? Both of her released books feature positive female friendships. I enjoyed both because the friendships are realistic. They have their ups and downs, and reading them was heartwarming. Thank you for the recommendation – definitely going to have to read some of Emery Lord’s books ASAP because they sound fantastic. As for other books with good friendships, that’s hard to say. The Perks of Being a Wallflower has some good ones! Ooh…I’ve heard such fabulous things about The Perks of Being a Wallflower but for some reason I haven’t been motivated to pick it up. You’ve definitely got me intrigued now Lauren – thanks for the rec! Thanks Ella! 🙂 Hope you enjoy the other books! The H.P. series is by far one of the best examples of great friendship and strong bonds. This post is so great, and I so, so, so agree with Code Name Verity and The Mysterious Benedict Society! I’ve read plenty of books with positive, well-developed friendships, but I too have encountered some toxic or just dull fictional relationships. Although I’m not opposed to reading about the former type, I do love a good, fulfilling friendship, so it sounds like I need to give The Boy in the Striped Pajamas a try. 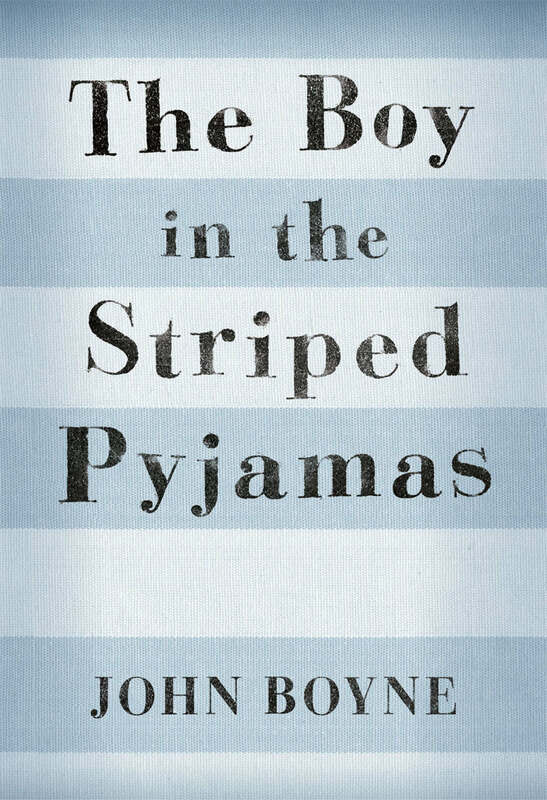 Definitely give The Boy in the Striped Pajamas a try Emily – it really is amazing. And aren’t Code Name Verity and The Mysterious Benedict Society just the best? I know, right? I absolutely adore it. I love their dynamics. Yes, they’re all different, yes they may have fights sometimes, but their dynamic feels so real and it reminds me of the relationship I have with my best friend sometimes. I feel like it can be hard to find strong friendships in books, but when I do, they immediately capture my heart! The Harry Potter trio would have to be my favourite, because they’ve been through so much together. Mmm, yeah, friendships are so important because it would be really strange for a protagonist to have zero help whatsoever. YA does place more emphasis on romantic relationships than platonic, but friendships are so important! P.S. : CODE NAME VERITY OMG. THAT BOOK WAS SOOOOO GOOD. I completely agree Alyssa. It’s a shame because friendship is just as – if not maybe even more – important than romance. It’s a shame that friendship is always given 2nd priority whenever romance gets introduced, but hopefully that will change. I love books that have strong friendships! They are just automatically stronger, I think. Some of my favorites are the entire Dweller and Country Series by David Estes (it’s like friendship central in there! ), The Woodlands series by Lauren Nicolle Taylor, Roar’s friendships with both Perry AND Aria in Under the Never Sky, Lia and Pauline(and then others!) in The Kiss of Deception, the whole “group” in Emmy & Oliver… I can’t think of any more now, but I do need to read some of these that you’ve shared! Love this post! I completely agree Shannon. 🙂 And yes: I loved the friendship dynamic of the group in Emmy & Oliver – so sweet and realistic. Thank you! Totally agree with you! Strong friendships in books are one of my favourite things, but they can be hard to find. Some of these titles are new to me, so I’ll have to check them out when I feel the need for a good friendship story! Other than the HP trio, I also really liked the relationship between Agnieszka and Kasia in Uprooted: they had their ups and downs, but always had each other’s back. Ooh! I totally forgot about Kasia and Agnieszka – I loved their friendship as well! Thanks for sharing your thoughts Beatrice! Fabulous post, Zoe! I loved The Mysterious Benedict Society! And the Harry Potter trio is great, of course. I haven’t read any of the others on this list, but I definitely want to. I’m really frustrated by the lack of friendship in YA–the whole “teens will only read it if it has romance” thing drives me crazy. Ugh…don’t even get me started on the whole “teens will only read it if it has romance” thing. So completely and utterly untrue. Thanks for sharing your thoughts Ellie! Some of my favorite book friendships are the HP trio, like you mentioned above; Anne Shirley and Diana(or really, Anne Shirley and EVERYONE, because who doesn’t she befriend? ); and Enna and Finn from the Books of Bayern series(given, that did turn romantic, but they were BEST friends, and I loved it). I haven’t heard of any of the books you’ve mentioned, but I’m definitely going to have to check them out! Thank you for sharing your thoughts Ally! I agree that friendships often feel neglected in YA fiction, but that could mostly be due to way I approach them, because I’m looking for something specific in the friendships I read about. Mostly what hooks me is a feeling; if the dynamic between friends in a book is strong and well-written and natural enough that I basically ship them platonically, then I think it’s a fantastic friendship. The most obvious example of this for me is the Golden Trio (because let’s face it, Harry, Ron, and Hermione probably created this mindset in me! ), and I also love the friendships in Simon vs. the Homo Sapiens Agenda and the Raven Cycle by Maggie Stiefvater. I think John Green writes friendships really well, too, especially in TFiOS (Isaac!!) and Paper Towns. And of course, your list features plenty of strong friendships, too–especially since you included Code Name Verity, which is basically one of the most heart-wrenching and emotional friendships I’ve encountered in any YA novel. Under a Painted Sky was a great read, too–I loved the girls and the cowboys as a group, although admittedly not all my ships there were platonic. 😉 Anyway, though, fabulous post–thanks for sharing! Ron, Harry and Hermione are absolutely fantastic. I don’t think anyone could replace those three in terms of great and realistic friendship development. And I love the friendship dynamics in John Green’s books as well – especially Paper Towns. And I feel the same way about Under a Painted Sky – great friendship, meh romance. Yup, I agree, and it’s such a shame. I also feel like the “best friends” are in the beginning of the book, but once the story gets serious and exciting…the best friend drops out because they’re just a side-dish that’s not important. AND IT’S JUST SAD. I LOVE FRIENDSHIP STORIES. omg, I will forever cry when someone mentions CNV. oh oh the Accident Season had good friends. They were half-siblings too, but they had one outside friend and she just ROCKED. ALSO THE RAVEN BOYS. SO MANY FRIENDS OF EPICNESS. Yeah, there really aren’t many young adult books that have a good supportive friends in them, or even books that show the complexity of friendships. It’s mostly about the romance :/ Not that I mind all the time, but it would be nice to see some more friendships like in the books you listed. While I had some pacing issues with Code Name Verity I absolutely positivity really liked the relationship between Maddie and Verity. And Harry Potter, of course, a win 😉 I only saw the movie for The Boy in the Striped Pajamas, but oh my gosh, the feels. Yeah, I had some pacing issues with Code Name Verity too (so many airplane details in the beginning OMG) but I ended up really liking it. And the Harry Potter golden trio is absolutely perfect. Thanks for sharing your thoughts Alise! Code Name Verity and The Boy in the Striped Pajamas are both so much more than simply historical fiction novels, aren’t they? Such beautifully written and emotional friendships. Thanks Jillian! Ugh. I really want to read The Boy In the Striped Pajamas because I’m a sucker for sad stories. I totally agree with Harry Potter. Other friendship books I love are Percy Jackson and the friendship in Emmy and Oliver. omg 100% the main trio in Harry Potter!Seriously, friendship goals. And OMG I can’t believe I forgot Zuzana & Karou! I’ve only read Daughter of Smoke and Bone, but their friendship in it was absolutely fantastic. Thanks Jules! It really is a shame because authors these days seem to be prioritizing romance above friendship, and that just feels so wrong to me, you know? So glad you love Harry Potter, The Mysterious Benedict Society and The Boy in the Striped Pajamas too Julia Anne! Thank you for the lovely comment! I agree! So few books have actual healthy friendships in them, and when they do, they usually turn into romantic relationships halfway through. I love The Mysterious Benedict Society, too, because it doesn’t do that. That’s one of the things I love about The Mysterious Benedict Society too Lily. So glad that Stewart didn’t choose to go that route because it would have definitely ruined the story. Thank you for the lovely comment! My fave friendship book would be Kissing in America by Margo Rabb. They’re both so fabulous and just proud of each other. I yearn for a friendship like that! Definitely going to have to give that one a try – thanks for the rec! Your post is SO on point, Zoe. 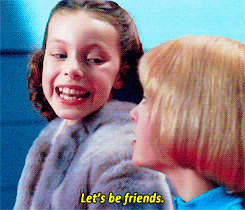 So frequently are friendships just used as a tool, and frankly, it’s annoying. I mean, not all teens are going to be romantically involved with someone during high school, but 99% percent of teens WILL have some sort of friendship. So I’m not quite sure that’s not represented in YA! I haven’t read Under a Painted Sky yet, but this friendship sounds really interesting, so I’m going to add it to my TBR! I also started reading Code Name Verity, but never finished it, for some weird reason. MUST FINISH IT. Harry Potter trio is just goals, ahaha. Thank you Aneequah! ♥ And I completely agree about what you said – I feel like friendship is so much more realistic than romance when it comes to the average teenager. Thanks for sharing your thoughts! And thank you – haha! A couple of others I would say are The Book Thief by Markus Zusak (I love the dynamics of Liesel and Rudy’s friendship), the Ruby Redfort series by Lauren Child (Clancy and Ruby’s friendship is AWESOME (although techincally this series is say, a YA/MG crossover, although everyone in my house reads the series because it’s AWESOME) and Daughter of Smoke and Bone by Laini Taylor (Zuzana and Karou are <3) Have you read any of these? Oh my gosh…thank you so much Hawwa! You have no idea how much this means to me! And OMG I cannot believe I forgot Liesel and Rudy and Zuzana and Karou on here! *facepalms* Both friendships are absolutely amazing. I love this post! What drives me pretty crazy is when the MC has 1, 2, or even 3 best friends who are just perfectly okay. They usually fit classic stereotypes, like the crazy impulsive friend who pushes you to do things, or the friend that is always there with a box of tissues when you need her. These friends always seem to be there to drive the MC around (like you said!) and while they might have one minor issue of their own, they ALWAYS seem to be helping the MC with their issues, giving themselves so selflessly. It seems just blah and kind of unrealistic to me. The last great friendship I read was between Yukiko and Buruu from Kristoff’s Stormdancer. They are each others’ sidekicks and become like siblings, even if they started out as enemies. Their snarky/sarcastic banter is hilarious, and I know they would die for one another. I completely agree Lina – it gets so unrealistic it’s ridiculous. 🙁 Definitely going to have to check out Stormdancer though – it sounds incredible! Nooooo Code Name Verity MY HEART, and nooooo to The Boy in the Striped Pajamas, which I still have to read. Gah. I love friendship when it’s done right. The last great friendship I read was….uh, Emmy and her friend circle from Emmy and Oliver. And I love that friendship too! Can’t believe I forgot to mention that! Thank you so much Nuzaifa! <3 I absolutely love the friendships in The Book Thief – both between Max & Liesel and Liesel & Rudy. Can’t believe I forgot to put it on here. And thank you so much! I completely agree- there is definitely a lack of good friendship books in YA Fiction. The Sisterhood of the Traveling Pants is supposed to be awesome but I have not read them yet. Harry Potter always has a strong friendship theme throughout the series. Is there anything the HP series doesn’t have?? It is just completely amazing. Great post!! I’m glad I’m not the only one who feels that way Theresa! And Harry Potter is just overall amazing, isn’t it? ♥ Thank you! Yesss you are absolutely correct. I am leery of most YA BFF because the relationship is often so shallow. 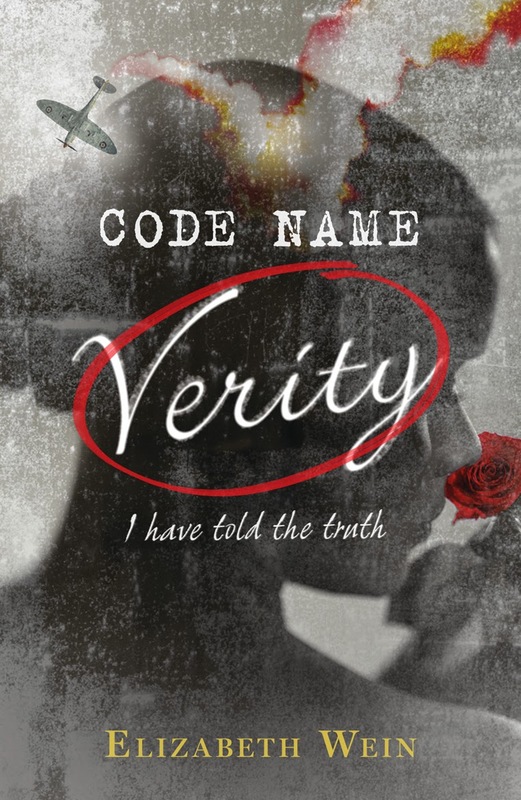 Code Name Verity is the ABSOLUTE best, I am so happy you mentioned it. It’s all too rare to read about great female friendships. I need to check out the others you mentioned (aside from HP ofc, but that goes without saying haha). Aentee at The Social Potato. If you liked The Boy in the Striped Pajamas I have a feeling you’d really like Code Name Verity Eugenia. Thank you for your brilliant comment! I absolutely love this post. I hate when friendships don’t feel real, like the characters are just there for convenience or to make our hero/heroine look better. I love strong friendships in my books, my favourite being Harry, Ron and Hermione!!! I love those guys and there friendship is beautiful. By the way, thanks for stopping by Sometimes I’m a Story! Definitely going to have to check those two out Heather. Thank you for sharing your thoughts! Oh, that Harry Potter trio–I love them so much. I’ve heard of the others books, though I’m not familiar with their storylines. But I do want to read them, especially now. I agree–friendship usually gets the short end of the stick when it comes to YA novels, and I wish we could read more realistic, beautiful, painful friendships. I’d rather have a great friendship, any day, than a boring old romance. Thanks for sharing! And thanks for visiting Out of Coffee, Out of Mind! I agree with you, I would love to read more about friendships, positive, powerful friendships in YA books. I love those examples you quoted! Morgan Matson’s Since you’ve been gone shows a great deal about friendship, how it’s built, and how it can survive and everything, and this is why I liked this book a lot! I loved Since You’ve Been Gone – can’t believe I didn’t put it on here. Thank you Marie! This is SO true, Zoe! I’m always the most annoyed when a character’s friends are completely absent by the third chapter, which seems to be somewhat common with all the focus on romance these days. As for some of my favorites: I loved the friendship between Celaena and Nehemiah in Throne of Glass, the friendships in the Accident Season like Cait mentioned, and most recently, the various friendships that develop between Leah and the other wagon party members in Walk on Earth a Stranger. The last is a lovely example because Leah realizes how much friends can feel like family, and how silly she was for keeping herself at a distance from them initially. So glad I’m not the only one who feels like this CJ! xD And I’m definitely going to have to check out Walk on Earth a Stranger and The Accident Season. Thanks for sharing your thoughts! I actually thought of putting Maybe One Day on here Lisa, I love the friendship in that book! I love this post! I love books that feature a good solid friendship, and Harry Potter is one of my favorites. It can be hard to find books that have this, but it also makes it SO MUCH sweeter when you get knocked off your socks by a book that has it all. I read a book a while ago that had a wonderful solid friendship, but I can’t seem to remember the title! (It’s on the tip of my tongue… this is so frustrating!). Let me know if you remember it Iris – I’m always open to suggestions! Definitely going to have to check out Vampire Academy and The Drake Chronicles. Thanks for sharing your thoughts Kirsty Marie! I have SO many issues with friendships in YA because too many of them are like you said, especially girl/girl friendships. One of them always has to be the “judgmental” friend so the other friend looks like an angel. I can’t stand that; it’s rarely how girl friendships are. Harry Potter is one of my favorite friendships around, right next to The Raven Cycle’s. It’s so strong and could last a lifetime, and I think that’s a great portrayal of friendship, especially between multiple genders! Yes, I am ALWAYS banging on about more friendships in books (rather than romance). I think Harry Potter is definitely one of the best examples out there. Also Aristotle and Dante Discover the Secrets of the Universe. Harry Potter is definitely the prime example here for me (also because I’ve only read that and the Boy in the Striped Pajamas from this list and the latter makes me weep). Why I like it so much is because unlike a lot of YA there’s some romance in it but it isn’t all consuming. It’s just there and friendships and school and other things are equally important, which I find so realistic and relatable. Nothing beats the friendship of the golden trio in HP,huh? I’ve always admired their friendship! It was awesome, how different they are from each other, but regardless of their views, they always have each other’s backs. It’s beautiful! I love posts talking about friendships, because it is difficult finding books that feature really good friendships. One of my favourites is Lucy and Solange from the ‘Drake Chronicles’ by ALyxandra Harvey. I love the fact that they would fight to the death for each other and that they know each other so well.